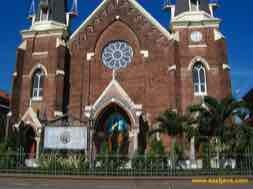 Looking at the historical background, Surabaya was build based on some phases of time. The first phase was coming from the time before the Dutch colonialism. Surabaya was once a gate to Majapahit Kingdom, which was located at the edge of Kali Mas. Even today, Surabaya anniversary day is set as the date of May 31, 1293. The day was actually a day of the victory of Majapahit troops led by Raden Wijaya against Mongol empire on Kublai Khan's envoy. The word of Surabaya was taken from the urban legend Suro or shark and Boyo or Crocodile. Those fiction animals were symbolize the Mongol armies who came from the sea is described as a fish Suro (shark / brave) and Raden Wijaya troops who come from the land described as Boyo (crocodile / danger), so the word of Surabaya is literally means the courage to face the coming danger that threatens. In the 15th century, Islam began to spread rapidly in areas of Surabaya. One member of the wali sanga, Sunan Ampel, was build mosques and Islamic boarding schools in the area of Ampel. In 1530, Surabaya became part of the Sultanate of Demak. The second phase is coming from the Dutch East Indies era. At the time of the Dutch East Indies, Surabaya had status as the capital residency of Surabaya, whose territory also includes what is now the regency of Gresik, Sidoarjo, Mojokerto and Jombang. In 1905, the Surabaya status granted become municipality (Gemeente). In 1926, designated as a provincial capital Surabaya, East Java. Since it developed into a modern city, Surabaya, became the second largest in the Dutch East Indies after Batavia. The most population in Surabaya is Javanese people, but there are also some ethnic that live in Surabaya such as, Madura, Tionghoa and Arab, and some others are the expatriates. While, Islam is the major religion that being held by most inhabitants. The inhabitants are mostly speak in Javanese language with particular accent that different with common Javanese language. As a metropolitan city, Surabaya become the center of economic activities in East Java and the surrounding area. Most of the population is engaged in services, industry and trade. Many large companies are headquartered in Surabaya. 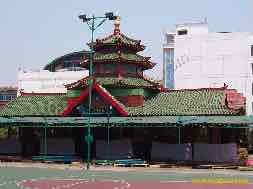 Moreover, Surabaya today is settled by dozens of mall and plazas, like Tunjungan Plaza, Galaxy Mall, Pakuwon Trade Center, Surabaya Plaza and many more. In addition to the mall and plaza, Surabaya also has numbers of destination inside the city regarding the historical sites or cultural site. Among of them, there are Monkasel or submarine monument, Surabaya heroes monument, Bungkul park, Surabaya zoo, Ampel, Kayoon street and more.